Students, staff and campus visitors enjoy the total exterior preservation and interior renovation of this classic mission style 1926 building which housed the Commerce and Finance program. 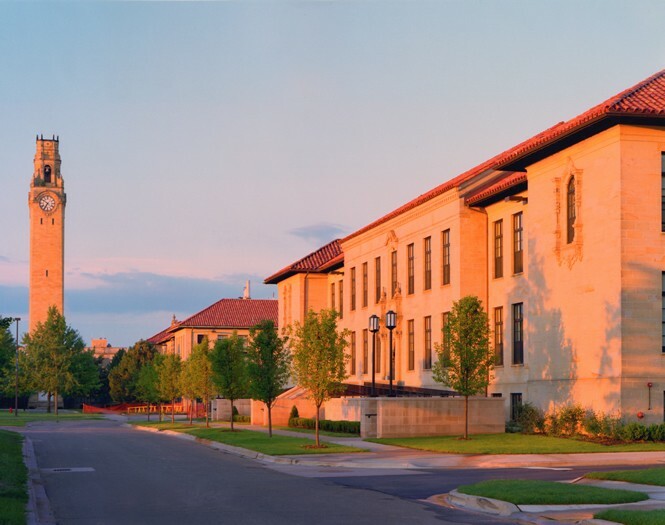 A comprehensive planning study of the existing building, grounds and surrounding campus district was completed. As one of the original campus structures, its location is critical with respect to the pedestrian flow of the campus. Extensive site enhancements include new lighting, pedestrian pathways, sculptures, seating and landscaping. The existing red tile roof and carved sandstone walls were faithfully restored to their original condition. New exterior stairs and ramps were added to compliment the beautiful aesthetic of the existing building facade and enhance its formal campus setting. 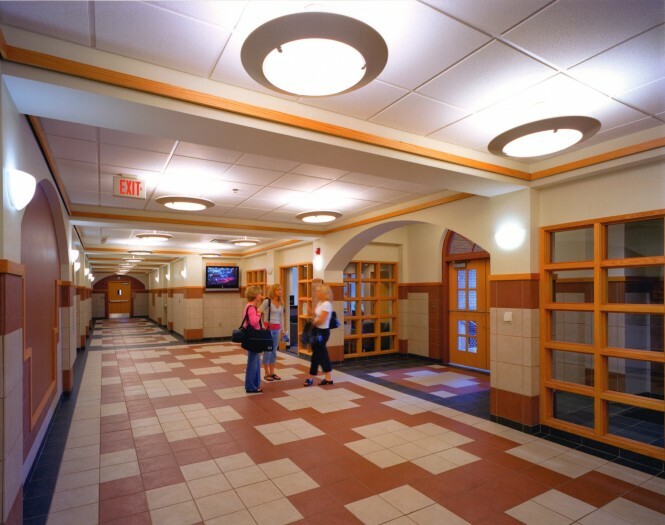 The addition of textured ceramic tile and oak wood trim provide a warm and inviting atmosphere for the Business School’s students, faculty and staff. 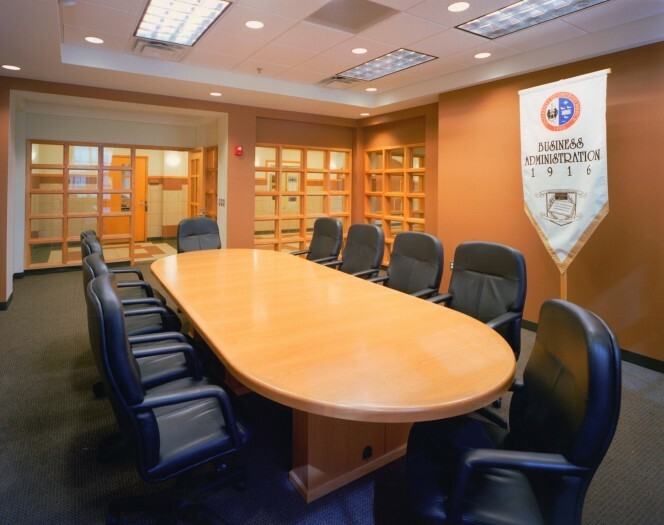 The total project is 41,000 SF and included the programming and design of all academic and support spaces such as administration, Dean’s suite, faculty offices, academic classrooms, lecture halls, lounges and restrooms. 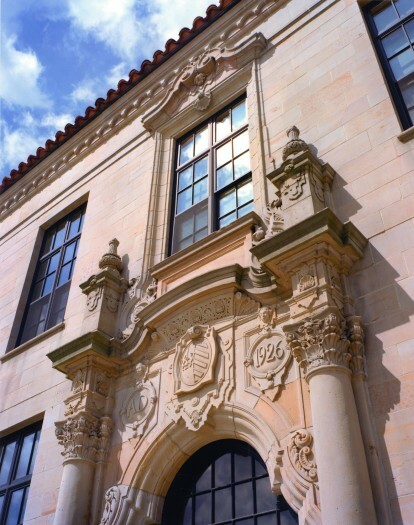 Historically significant tile and woodworking were preserved at the building's entry halls, while the rest of the interior brings forward entirely new finishes and a new plan layout.